Instagram recently announced that it will start showing posts in order of importance instead of chronological order. This is a huge shift for the company as it adopts an algorithm similar to big brother, Facebook. According to Optical Cortex data, Instagram users follow an average of 822 people. The chance that your followers see every one of your posts is slim as it is, unless you’re posting every half hour on the nose. With this change, Instagram is making sure that people who are important to you will float to the top of the feed. Don’t despair, there are things you can do to make sure your photos are still seen by your customers! Now is the time to start focusing on quality content. The more someone engages with you, the more Instagram will know that your profile is valuable to them and pop it to the top of their feed. Make sure you’re posting interesting, engaging photos with which people can connect. Also, start responding to those comments (if you aren’t already, which you should be). Use this opportunity to strike up a conversation. Build a relationship with your customers so they will be more likely to see value in your content and want to be notified when you post something. 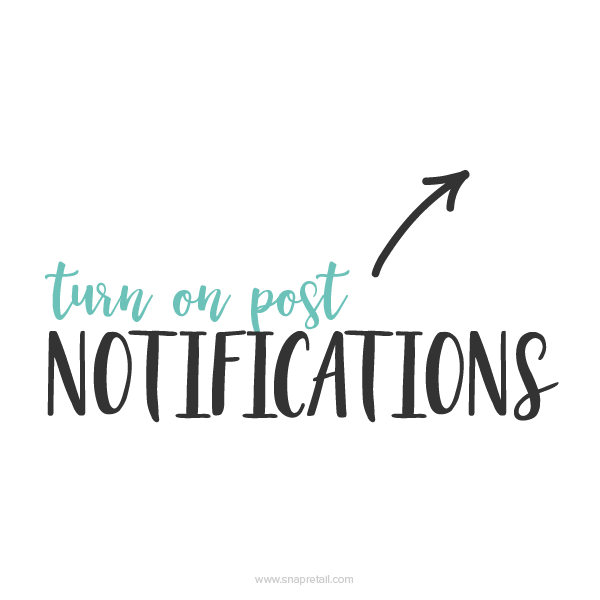 Speaking of asking customers to be notified when you post, you can have customers turn on post notifications so they never miss one of your Instagram updates. 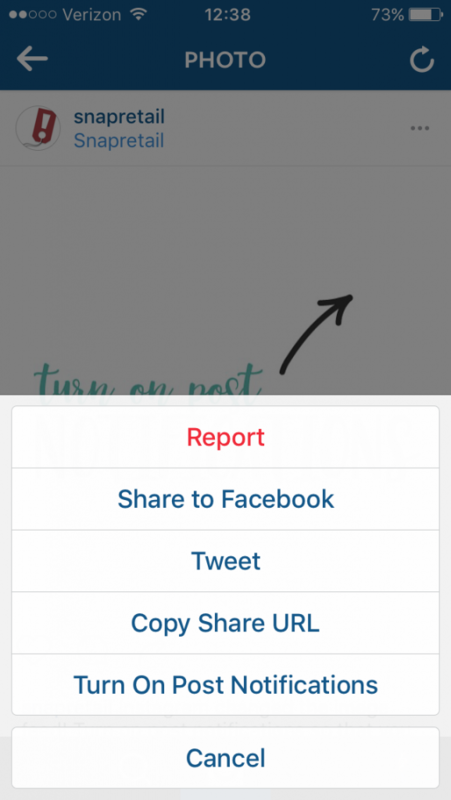 To be notified when someone posts on Instagram, tap on the three dots in the lower right corner of the photo, then tap Turn On Post Notifications. That’s it! Save or regram (www.instagram.com/snapretail) our Instagram Post Notifications Photo, ask your customers to turn on notifications for your Instagram photos, and don’t sweat about the changes to Instagram!